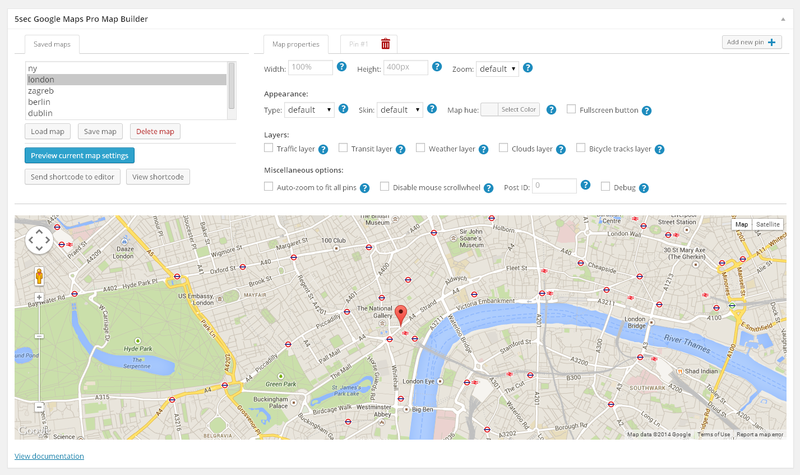 Whether it's a simple map with just one pin, or a fully customized map with multiple pins this simple to use plugin will enable you to build your map in seconds! 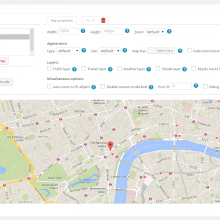 Use the map builder to select all to options you need and insert the map anywhere on your site. 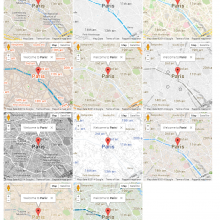 Maps can be customized in numerous ways to fit the style and needs of any website. We made 10 beautiful skins but if needed you can choose a custom map color too. We value your business and know what features are crucial for attracting customers. That's why our maps have a built-in directions form and the ability to create great descriptions. This map features 100 largest US cities and loads in less than a second! It doesn't matter how many pins you have, the map will always load with the same speed thanks to our clever caching engine. Don't worry; you never have to empty the cache or do any other "technical" things. Just use our map building GUI and enjoy. If, for any reason, you need to lock the map and disable zooming, panning, and scrolling you can easily do it with the "lock_map" option. This is especially useful for mobile sites. Advanced options amongst other things include the ability to use any custom field as a value inside the map. So instead of writing the address on every page, you can just do: [pin]$my-saved-address[/pin] and the value will be taken from the custom field. Pin description can be taken from the content of any page or post. That way you can design it and enter a large amount of content then simply use it in multiple pins. 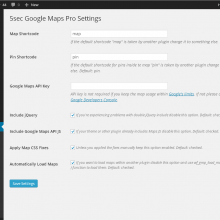 5sec Google Maps PRO, Web factory Ltd 2014 - 2019 | All rights reserved.